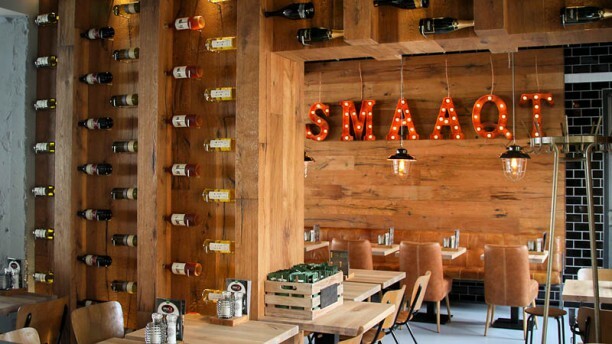 New hotspot in Amsterdam "Noord"
Restaurant SmaaQt is a new hotspot in the popular area in Amsterdam North. Not only you can visit the place for a delicious cup of coffee from their professionally trained baristas, you can enjoy their extented lunch card as well. Wondering what is a great place to sit down relax on your free Friday afternoon? Then come by at Smaaqt and enjoy! Excellent food and service as always. Lindsay was very welcoming, courteous and attentive. Good food, nice ambience, friendly service. First we were a bit surprised by the location, but inside itnis peaceful and beautiful, and the food even better, I had the best burrata ever! The ambience is great, the food is delicious, and i would go back again.